Maretta initially commenced with Warners Bay Dental as an extremely capable Dental Assistant, with over 25 years’ experience in 2009. She then rose to the rewarding role of Practice Manager in 2011. Maretta takes enormous pride in ensuring that Warners Bay Dental runs efficiently, with patient care and wellbeing her main priority. Her warm and caring attitude ensures patient care is always of the utmost importance, along with the overall morale of the dental staff and dentists. 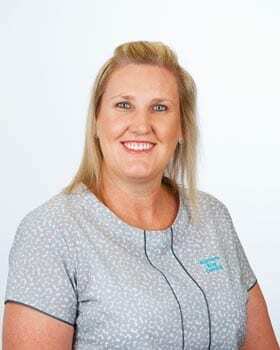 She is actively involved in all areas of the practice, and thoroughly enjoys being part of the Warners Bay Dental team. In her spare time, Maretta enjoys spending time with her family and dotes on her two Cavalier dogs. She has a love for the outdoors and has a genuine commitment to helping other people throughout her community.